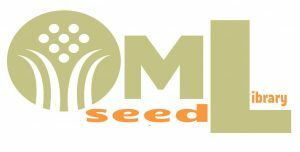 The Olson Memorial (OM) Seed Library launched in April 2015, with the help of our community, Master Gardener members and the Seed Savers Alliance of Northern Wisconsin. Our Seed Library was the first lending seed library located in Vilas County! To join the OM Seed Library, all you need is a valid library card. Stop by the Seed Library display to pick up a copy of the members checkout form. Plant: Choose your seeds (housed in a lovely vintage card catalog). Patrons may borrow a wide variety of heirloom and vintage seeds. Grow: As your plants mature, prepare to save some of their seeds. Share: Return some of your saved seeds to the library, so that the seeds can be checked out again next year. OML Seed Library is a place where seeds are offered, preserved and shared for the benefit of everyone in the community. How much does it cost to check out seeds? Not one cent. All you need to check out seeds is a library card in good standing. Many of our seeds were donated. Others were harvested and donated by our library patrons. Seed packets will be marked with the year of purchase and a special note if they were harvested locally. How much of each seed variety do you have? The number of packets of seeds varies from plant to plant, depending on the quantity purchased/harvested. Seeds are available on a first come, first served basis. Once a particular variety is gone, we won't be getting more until the harvested seeds are returned in the fall. I have some extra seeds at home. May I donate them? Yes! We are happy to accept donated seeds. Place dried seeds into a sealed envelope, and label the envelope with your name, the name/variety of plant, and the year the seeds were purchased or harvested. What happens if my plants don't grow or grow poorly, and I can't save seeds? We recognize that our patrons have no control over growing conditions. If you are unable to save seeds due to poor plant performance, there is no penalty for not returning the seeds. Looking for some great gardening books to check out?